Western blot analysis of cell extracts from Raji, Jurkat, and Molt4 using HS1 (D83A8) XP® Rabbit mAb (Human Specific). 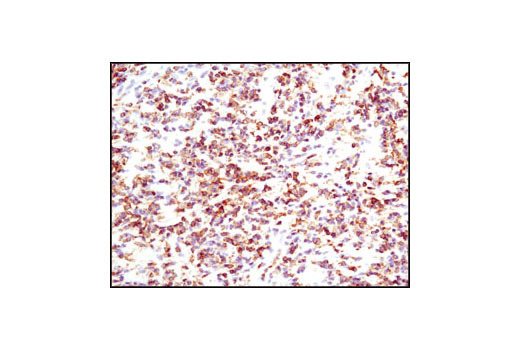 Immunohistochemical analysis of paraffin-embedded human lung carcinoma using HS1 (D83A8) XP® Rabbit mAb (Human Specific). 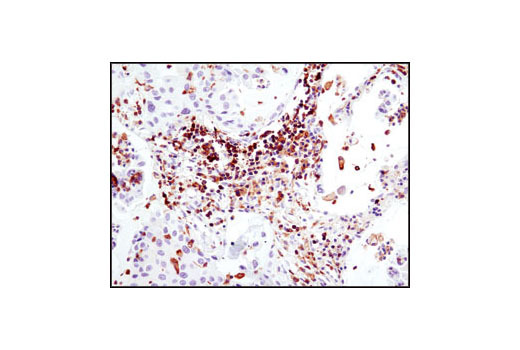 Immunohistochemical analysis of paraffin-embedded human lymphoma using HS1 (D83A8) XP® Rabbit mAb (Human Specific). 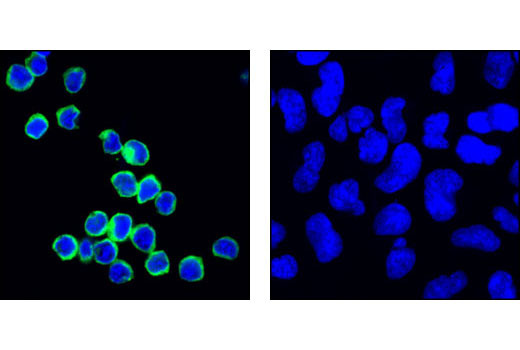 Confocal immunofluorescent analysis of Jurkat cells (left) versus 293 cells (right) using HS1 (D83A8) XP® Rabbit mAb (Human Specific) (green). Blue pseudocolor = DRAQ5® #4084 (fluorescent DNA dye). 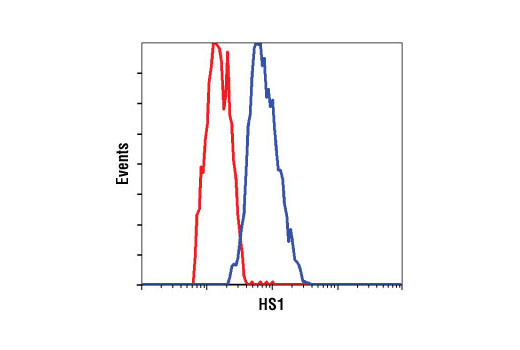 Flow cytometric analysis of MCF-7 cells (red) and MOLT-4 cells (blue), using HS1 (D83A8) XP® Rabbit mAb (Human Specific). 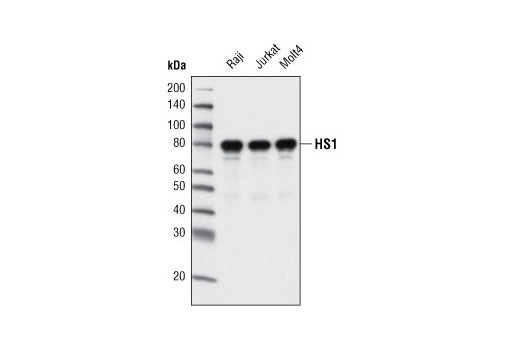 HS1 (D83A8) XP® Rabbit mAb (Human Specific) detects endogenous levels of total HS1 protein. HS1 has a calculated size of 54 kDa, but has an apparent molecular weight of 80 kDa on SDS-PAGE gels. Monoclonal antibody is produced by immunizing animals with a synthetic peptide corresponding to residues surrounding Pro310 of human HS1.